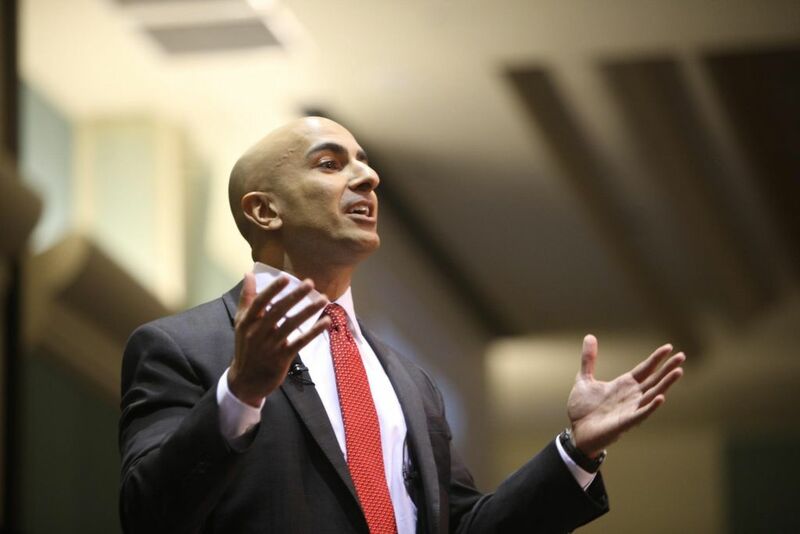 California’s 2014 Republican gubernatorial nominee Neel Kashkari has dropped a bombshell in his new job as president of the Minneapolis Federal Reserve. In a speech at the Brookings Institution in Washington, D.C., the 42-year-old former PIMCO executive and Orange County resident warned that reforms enacted after the 2007-2009 financial meltdown are inadequate to prevent poorly run big banks from dragging America into another recession. That’s from a Business Insider account of his speech. Kashkari, who ran the Treasury Department’s Troubled Asset Relief Program under both President George W. Bush and President Obama, worked for Goldman Sachs’ San Francisco office before his government job. After leaving the Treasury Department, he joined Newport Beach-based PIMCO. While he lost to Gov. Jerry Brown in a landslide, he was still considered an up-and-comer in California politics before moving to Minneapolis last year, where he assumed the Fed post in November. If he does seek California office again, as some political observers expected, his speech will likely be a focus for its perceived populist themes. If you look around the global economy, there’s a lot of uncertainty. There are people who are concerned about China’s slowdown and whether it’s going to be a hard or soft landing. All of those are out there, but it’s very hard to see crises coming. To really be strong enough against a shock we haven’t thought of, we would either need much, much higher capital requirements — the banks are already pushing back hard against the capital surcharges — or we need to look at much stronger or more intense stress scenarios. Kashkari, 42, a Hindu native of Ohio, has undergraduate and graduate degrees in mechanical engineering from the University of Illinois/Urbana-Champaign. He worked as an engineer for TRW in Redondo Beach before going to the University of Pennsylvania’s Wharton School for his MBA, which led to his Goldman Sachs job. When Goldman Sachs chairman/CEO Henry Paulson became U.S. secretary of the treasury in 2006, he hired Kashkari as an aide, laying the groundwork for his appointment as the assistant treasury secretary overseeing TARP.